Engage and connect with your visitors across the web by opting for our Affordable Social Media Marketing Packages. Social media marketing experts at Thinsquare understand the need to properly strategize your services on social media sites to increase sales. In this social media age, businesses cannot afford to ignore their clients. They must be open to discussions so that they can connect with their clients on a personal level. By engaging in meaningful conversations, businesses can also get their hands on fresh ideas provided by their customers. Internet users always look forward to secure a profitable deal online. Social media marketing offer businesses an option to promote their services and products with the help of exclusive offers. By focusing on the targeted audience, your business can achieve measurable results. Social media marketing offers businesses an opportunity to deal with customer’s grievances at the earliest. This can be efficiently done by giving a chance to your customers to register their complaints and suggestions. An interesting and productive way to engage your customers is to give them a questionnaire to fill or ask them to contribute fresh and original content for your website. Social media marketing techniques can help you to connect with your customers in a better manner. Huge corporations and companies cannot connect with their customers until they increase the recognisability of their company. Start thinking from your customer’s prospective and make your business easy to identify with. 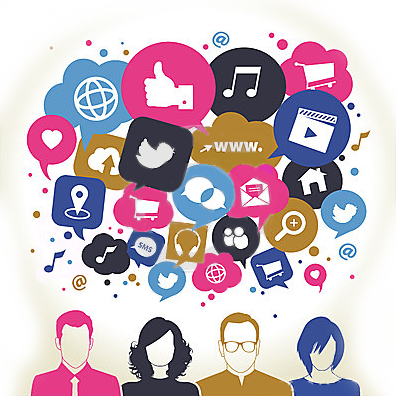 Social media marketing can help you to easily access a large customer base. The inbound traffic to your business is generally limited only to those individuals who are familiar with your trade name or are searching for the keywords you are presently ranked for. However, social media marketing open various paths giving new visitors a chance to visit your profile. More inbound traffic means more leads which ultimately signify more business. Rated 4.89 / 5.0 based on 239 ratings for Best social media marketing services across the globe. Are You Thinking of Giving Your Online Business A Better Exposure? The number of active social media users is increasing year by year globally. It is estimated that it wil..
No matter whether you are running a personal account on Instagram or are working on the behalf of an org..